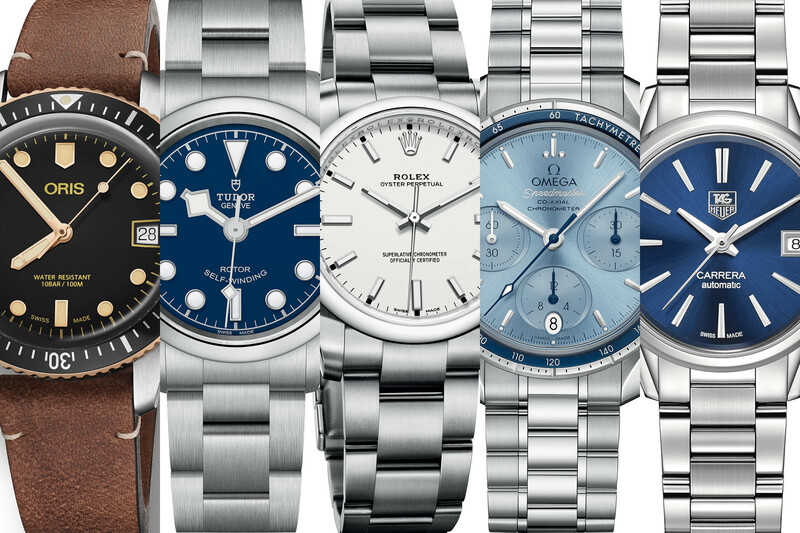 In our previous guide, we’ve been looking at Sub-5K sports watches but an elegant, well-chosen dress watch will take you through the day and into the night. Distinguished yet subtle, a refined three-hander should look good in any context and be able to complement your look without dominating your wrist. The kind of watch that will endure changing fashions and that you can wear as a valuable every day – and hopefully – lifetime companion. 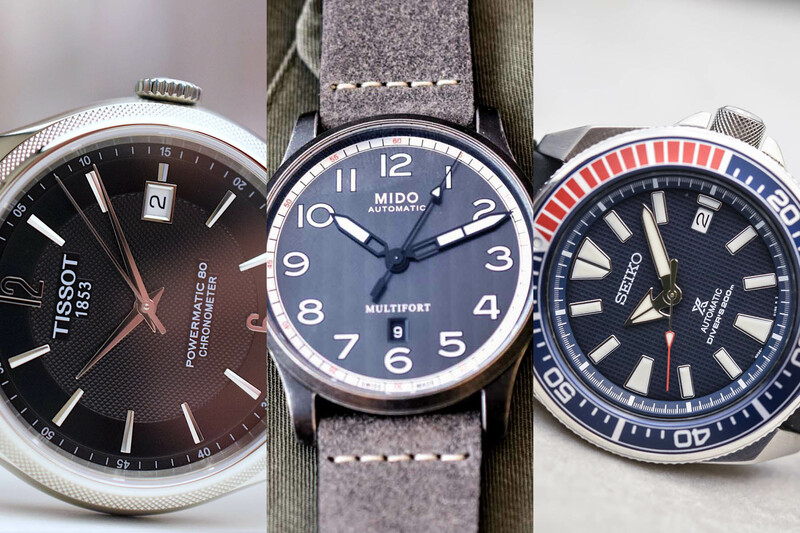 Our line-up of candidates have been chosen for their timeless good looks, solid mechanical movements and, best of all, their attractive price tags, all retailing for under EUR 5,000. Note: There are plenty of other candidates out there and we would love to hear your proposals. Please share them with us in our comment section at the end of the article! 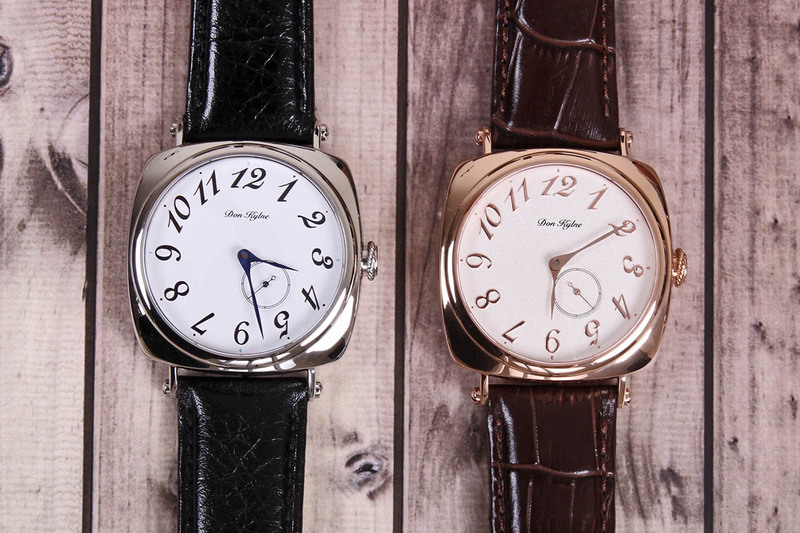 The famous reversible watch designed for British polo players in India hasn’t lost one iota of its popularity since its debut in 1931. With its swivelling case allowing polo players to protect the glass on the dial of their watch, the Reverso provided a practical solution to a real problem. Faithful to its streamlined Art Deco aesthetics, the striking rectangular lines of the case and the three horizontal gadroons are sacred features giving the watch its distinctive personality. The stainless steel case measures 34.2mm and by flipping it over reveals a blank caseback, the perfect place to engrave a special message. 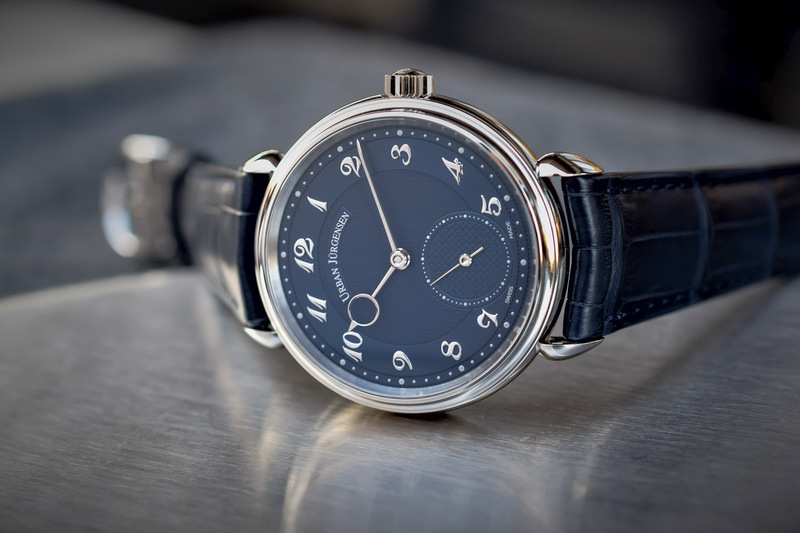 Relaying just the essential hours and minutes via the classic blued hands, the dial is a silver colour with a lovely guilloché design in the centre. 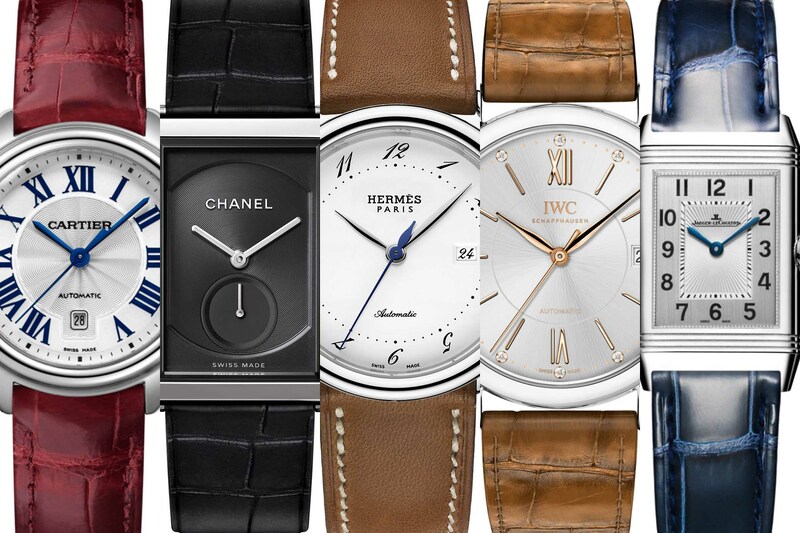 In a nutshell, you’ll find it hard to get tired of the stylish Art Deco lines of this enduring and timeless celebrity of the watch scene. 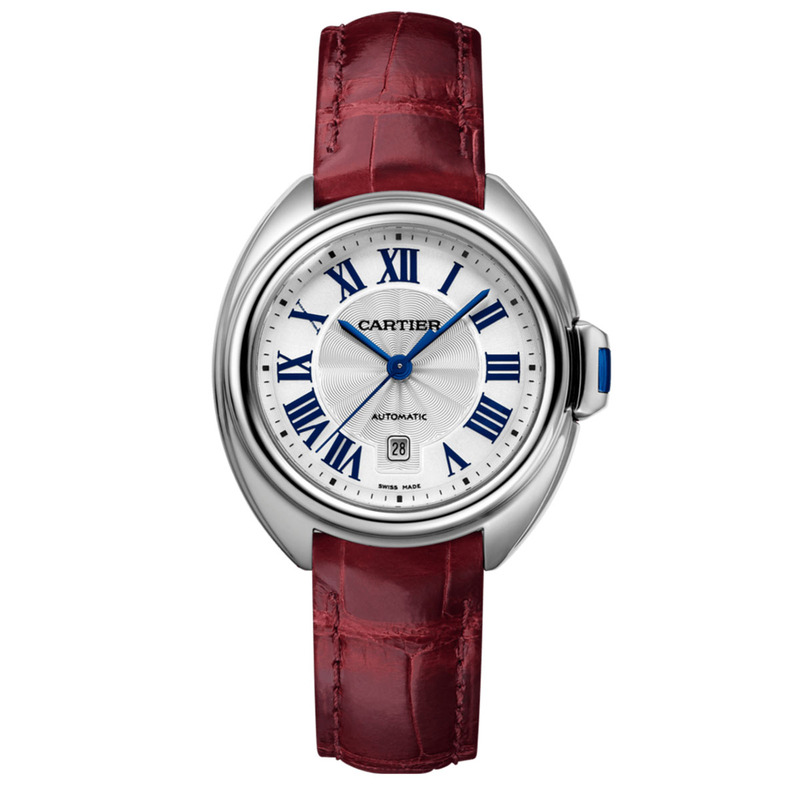 As a watchmaker, Cartier is famous for the unconventional shape of its watch cases that end up becoming icons. The Clé collection, launched in 2015, gets its name from the pivoting key-shaped crown on the case, a nostalgic reminder of the days when pocket watches and clocks required a key to be wound. Less rotund that the Ballon Bleu, the Clé features fluid, sensual contours and gently arching lugs that let the watch rest perfectly on the wrist. All the hallmark Cartier touches are in place, including the blue Roman numerals and blued-steel hands and the blue spinel stone in the crown. The silver dial features a wavy engraved design in the centre (flinqué) with a date window positioned at 6 o’clock. Fitted with an in-house automatic movement, this chic model comes on a vibrant Bordeaux alligator strap. One of France’s most beloved luxury Maisons, Hermès started life as a saddle maker in Paris and equestrian motifs pervade much of the design language. But as with all Hermès products, there is always a delightful twist. In this case, the asymmetrical lugs of the Arceau watch, inspired by stirrups, were designed by Henri d’Origny in 1978 who was also responsible for the sloping numerals on the dial, recreating the elegant gallop of a horse. This model comes in a 32mm stainless steel case with a white dial and a discreet date window at 4 o’clock. 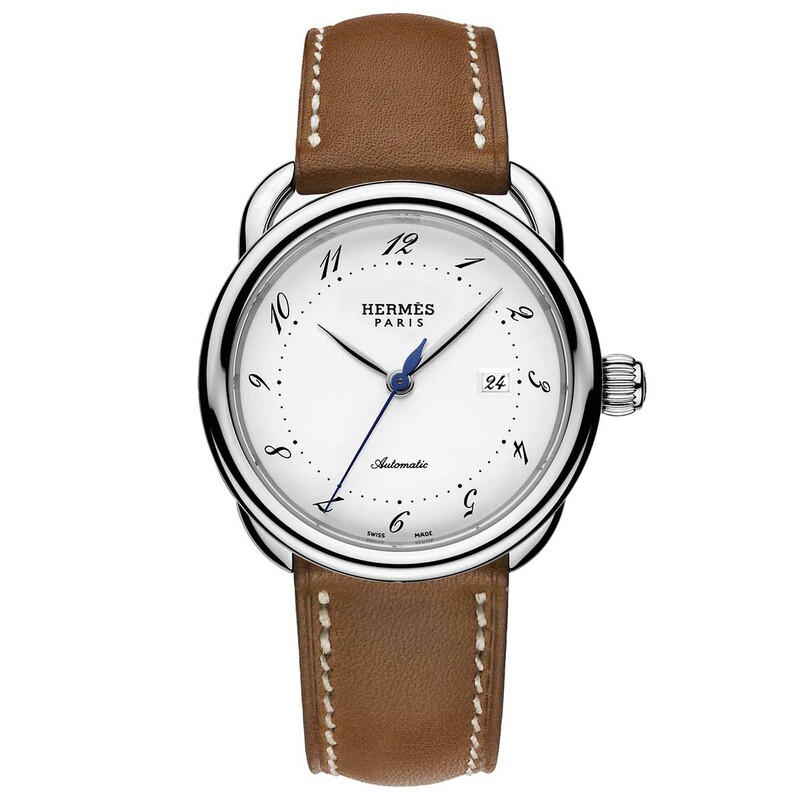 The movement is a Swiss automatic and the calfskin Barenia strap with its white stitching can be changed for any of Hermès’ famous leather straps. 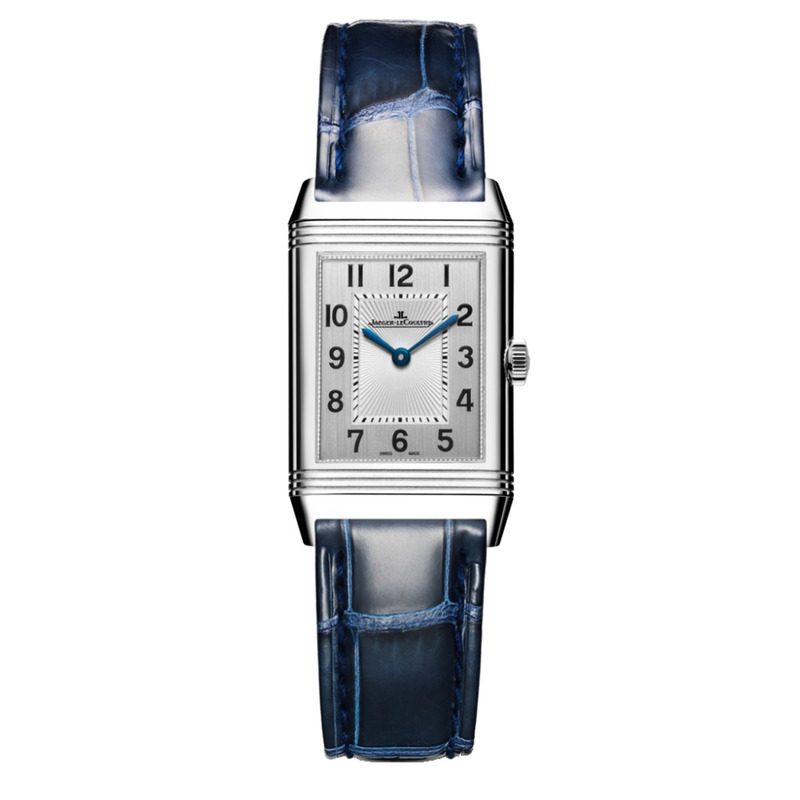 Elegant yet playful, this Arceau model sums up the design flair and sophistication of Hermès. Quick facts: 32mm diameter – stainless steel – sapphire crystal with anti-reflective treatment on dial – closed caseback with engraving of a horse carriage – 30m water-resistant – Swiss-made automatic movement – 42h power reserve – hours, minutes, seconds, date – tan calfskin Barenia leather – steel pin buckle – EUR 3,400 – more details www.hermes.com. In keeping with the spirit of Coco Chanel, who liked to borrow clothes from men’s wardrobes and transform them with feminine touches, the Boy-Friend watch is designed to seduce women with its masculine allure. Housed in the immediately recognisable Première watch case – with its clean-cut geometry inspired by the octagonal perimeter of Place Vendôme, just like the stopper on the Nº5 bottle of perfume – the generous dimensions give it a manly touch, softened with polished and bevelled edges. This large steel model features a sleek black guilloché dial with a recessed small seconds counter at 6 o’clock and a black spinel cabochon in the crown. 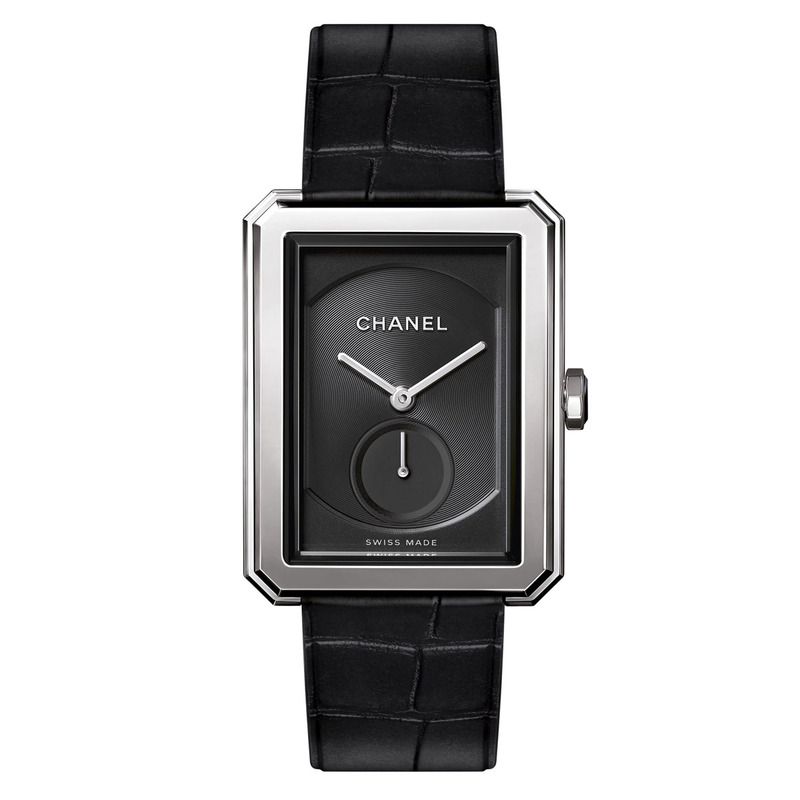 Handsome, stylish and always on time, what’s not to love about Chanel’s Boy-Friend? 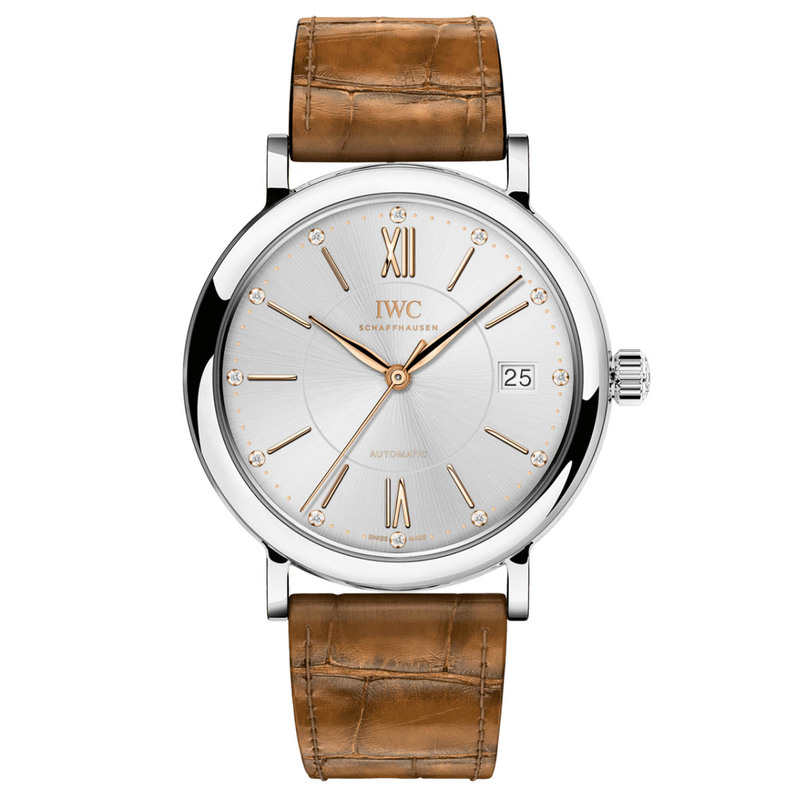 The Portofino has been a staple of IWC for decades, a classic, understated watch with elegant lines. In 2014 the Portofino repositioned itself as the ultimate gender-fluid watch and was offered in a 37mm case size and promoted by Cate Blanchett and Ewan McGregor (among others) in a lavish advertisement by Peter Lindbergh on the Italian Riviera. Sleek and simple with just a hint of diamonds, this steel model features a lovely silver-plated dial with a sunburst pattern and is set with 12 diamonds just above the golden hour markers. Keeping the time and date functions in perfect sync is an IWC mechanical automatic calibre. Elegant without being ostentatious, this model comes on a light brown alligator strap made by the luxury Italian shoemaker Santoni.